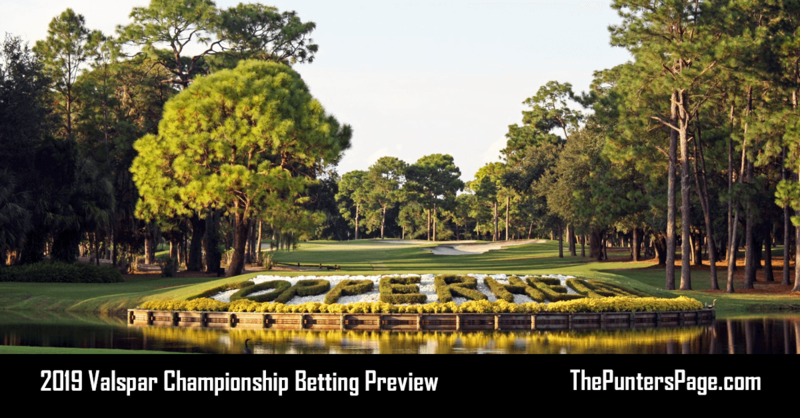 Golf specialist Rob Taylor (@RobTaylorSport) previews The US Masters and provides us with his best bets for this week’s event. The first major of the season is always a highlight in the golfing calendar. In fact, this is bar none, my favourite sporting weekend of the year. Forget the FA Cup Final, Wimbledon and the Grand National, this for me, is the epitome of sport. 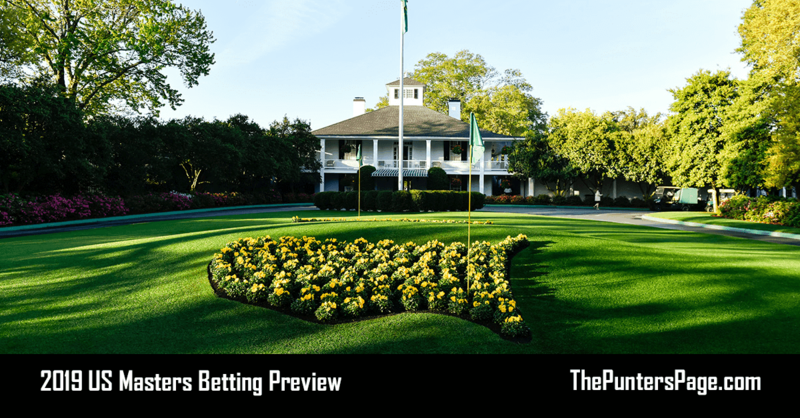 Augusta begins with the iconic drive up Magnolia Lane; the sight of the majestic azalea’s fully in bloom and culminates in the champion golfer being awarded the Green Jacket in the Butler Cabin by the previous year’s winner. So many iconic memories have been made around the hollowed turf of Augusta; Nicklaus’s win in 86, Faldo’s turnaround vs Norman on the back 9, Tiger’s chip in on 16, Spieth duffing it in the water on 12 when going for back to back titles, Mickelson hitting a miracle shot off of the pine straw on 13 and of course there are many more! More iconic moments are sure to be made this year. The field is by invitation only, so we see a reduced field of just 87 players this week, including former champions, amateurs and the top 50 in the world. It’s a lot easier to draw a line through many of the competitors this week to form your shortlist. Famed for a stretch of holes called Amen corner, the 11th, 12th and 13th holes are often where the drama hots up during the final round, with any score possible over a closing stretch of holes, including risk and reward par 5s and a decent chance of a hole in one on 16! It may be a cliché, but it really is never over until the final putt is sunk. 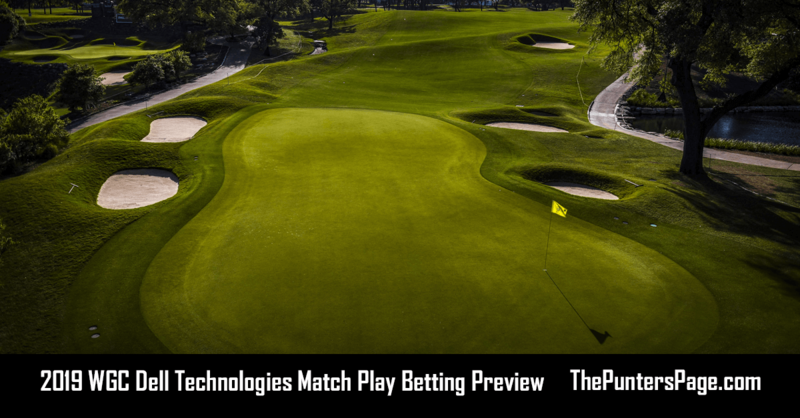 The Masters is the only golfing major where the venue remains the same each year, so it gives us a bit more to go on in terms of trends and stats, when looking for your winner and each way picks. Augusta National has hosted the Masters since its inception in 1934. Designed by Bobby Jones and Alister MacKenzie, the now 7,768 yard par 72 course has undergone many changes over recent years, as the demands for keeping up with the powers of the modern players’ length continues. Renowned for its ultra-fast and borrowing Bentgrass greens, iconic flowers and trees, a series of par 5 holes that have to be scored on, the strict challenge of Amen Corner and the walk across Hogan’s bridge on the 12th hole, Augusta remains one of the most recognised courses in world golf. Length and shape off the tee, has often been the key to success in recent years, with players aiming for as short an iron in for their approach shot as possible, in order to pick up the all-important birdies. There are in fact a number of trends and statistics which are keys to looking at for identifying picks this week. I have analysed the following areas to create my shortlist; Driving Distance, Going for the Green, Par 4 birdie or better, Scrambling, Bogey Avoidance and 3 putt avoidance. I’ve also looked at players that have had a top 10 this season, have shot rounds under 70 at Augusta, and have secured a top 25 finish in the Masters before. In analysing the above trends, players received a tick if they were in the top 50 this season for the individual statistics. Unsurprisingly, tournament favourites Rory and DJ both scored incredibly well. I couldn’t put you off backing either of them, but with a serious lack of short priced winners in recent years, there is definitely scope for looking a bit further down the market for some each way value. With Paddy Power and Sky Bet paying up to 10 places for an each way pay out, I’ve been tempted to look away from the immediate favourites to seek some value. I would be delighted if Rory completed his major’s grand slam by claiming the Green Jacket this year, but at 6/1 I’m happy to swerve him. It raises an interesting conundrum and a question I get asked a lot. Would you rather back a 6/1 favourite to win, or pick a 40/1 player to get a top 10 with an each return of 10/1 for the place? Yes, I know he is my favourite player, but I really think this is the time where Justin Rose gets across the line at Augusta and picks up his first Green Jacket. This is definitely both a head and heart selection. With two runner-up finishes in 2017 and 2015, Rose also has three other top 10 finishes. No world number 1 has won the Masters since Tiger in 2002, but some trends are meant to be broken and in what could be called one of the most open Masters in many years, I’m backing Rose to use all of his experience to bring it home this week. Rose has been in good form this year, an obvious statement for the current world number 1. Winner at the Farmers along with four other top 10’s, including The Players and the WGC HSBC, puts him right up there with Rory and DJ in terms of performance. However, Rose has been lightly run this season, with his new clubs and an absence because of heart surgery of his long term caddie Fooch, it makes his performances even more appealing. Fooch is thought to be back on the bag this week, so this is a further tick in the box, just imagine the scenes on 18 if he wins! Rose was prominent in every single one of the key statistics that I analysed, including 6th in going for the green, 10th in par 4 birdie or better, 7th in scrambling, 6th in bogey avoidance and 1st in 3 putt avoidance. I just have to make Justin Rose my number 1 pick this week. I’ve backed Thomas a number of times this season already, and have had him in mind for a while for the Masters. His stats this year are as good as anyone, and whilst he’s had three mediocre weeks on the trot, he figures highly in all of the key criteria I analysed this week. Trending over his past three appearances here at Augusta as well, with finishes of 39th, 22nd and 17th in the last three years, I can see Thomas going better this year and challenging right at the top. With three top 10s this season, Day has been showing signs of being back to his world number 1 form of a few years ago. Despite an all too familiar injury scare at the Arnold Palmer, Day fought back with a competitive 8th place at The Players the following week. 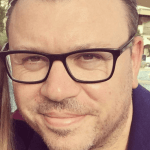 He also figures very highly in my stats analysis for this week, which combined with excellent previous Augusta finishes of 2nd, 3rd and 10th the Australian makes my shortlist this week at a very friendly price. The 2013 champion has been back to his ball striking best this season. I backed him for this event at 66/1 in January and I’ve been delighted that his form has held to give him a great chance of success this week. Two top 10s this season, including 2nd at the Farmers and 7th at the Genesis, were followed up with a very tidy 12th at The Players. As well as his first and only major win here in 2013, Scott has had a further 4 top 10’s at Augusta, including a 9th last year, when he was right in the mix going into the final round. Schauffele is another player who I backed for this event earlier in the year. He is a serial performer who I expect to claim a maiden major very soon and I see very little reason as to why it cannot be this week at Augusta. Shooting to fame with a Tour Championship victory in 2017, Xander followed it up with a runner up spot at last year’s Open Championship. He’s also had a further two top six finishes in major championships. Whilst only 50th on debut here at the Masters last year, gives him a negative in my top 25 finish marker, Schauffele is prominent in every other statistic I looked at so I think he can build on his experience last year to tackle the top of the leader board this week. Oosthuizen is a serial major championship performer. He’s finished runner up in all four of the majors and of course won The Open Championship at St Andrews in 2010. He’s been in fine form this season as well. 2nd at the Valspar and beaten quarter finalist in the WGC Match play, the South African is primed to go well again this week at Augusta. With four top 25 finishes in his last 5 years, along with a runner up spot after losing a play off to Bubba Watson in 2012, Oosthuizen is a very appealing each way price. Others that I was very tempted by, included; Tommy Fleetwood, who scored very highly in my stats analysis, has played very well in patches this year and came 17th last year, but at 22/1 I preferred other players at bigger prices, especially with his tendency this year to throw in one bad round. Marc Leishman (50/1) also appealed, given his performances in major championships and his two top 10s at Augusta. He’s also had two recent top 10’s, but I had to draw the line somewhere. Finally, I also looked at Patrick Cantlay (66/1) who has been going under the radar again this season, with a number of 25 results, but I’m yet to really see him do it under the pressure of a major championship, so I’m happy to leave him out. The Masters also gives us a great opportunity to play some of the side markets. Each year I lump on a hole in one on the 16th, which has been successful in each of the last three years. The pin is set up perfectly for it in round 4, for players to hit to the top of the slope and let it roll in. There were in fact there were three in 2016! It’s also a nostalgic look for some of the former greats to grace the fairways of Augusta again, with the likes of Bernhard Langer, Vijay Singh and Fred Couples all still very competitive on the Champions Tour. A top 20 for any of them is 12/1. Finally, Charley Hoffman has already been a very popular pick for first round leader, 100/1 in the outrights, I simply can’t back him at just 33/1 to be leader again on Thursday night.